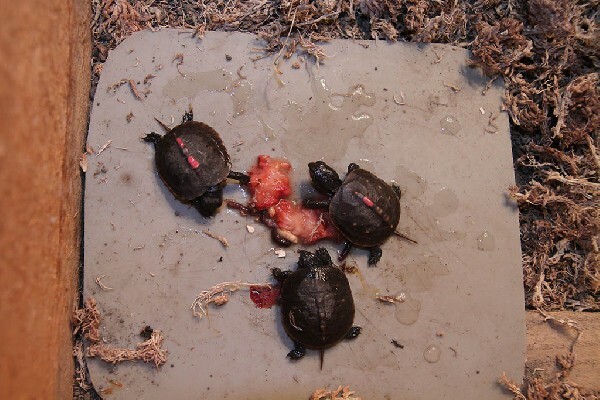 Linda, OK straight up here are three photos of 3 baby boxies born Aug 29th. 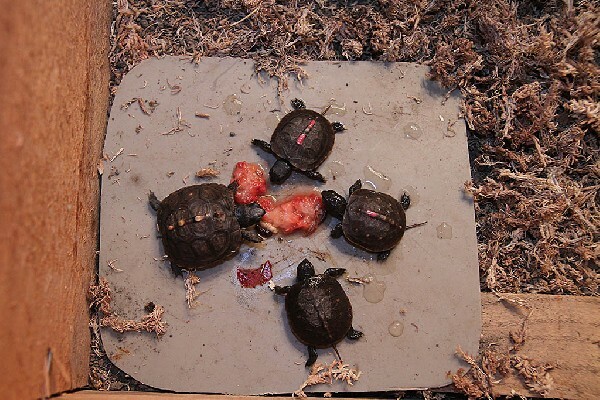 Three photos 1 shows the three babys drinking water and the next shows them by some food, wax worms, maggots, red worms and mashed up strawberrys, THEY DID NOT EAT ANYTHING. 4 months and he has not eaten for 2 months but he took a big drink. Also I'll try and post their indoor pin. 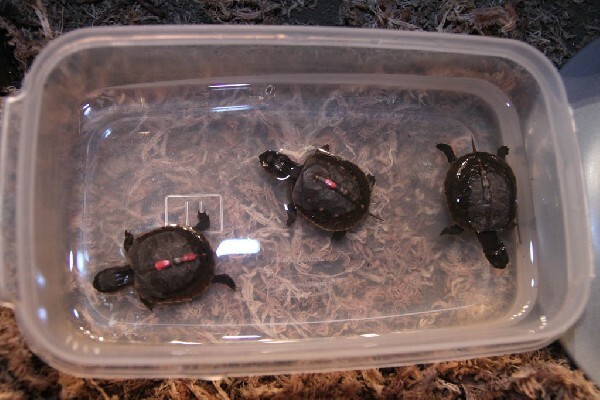 I expect these turtles will sleep and wake up several times a month before spring, drinking water but no food and I EXPECT them to live, if they don't I'll be suprised because the others from last year did.